Howdy. Senior writer Jason Heller here. As previously reported, The A.V. Club—in conjunction with the world-famous Alamo Drafthouse Denver—has launched Science Friction, a sci-fi film series curated and hosted by yours truly. Last week we kicked the series off with Videodrome, and it was the kind of rousing, feel-good experience that only a pitch-black room full of strangers watching a David Cronenberg movie can succeed at fostering. Even better, everyone kept their hot dogs down. 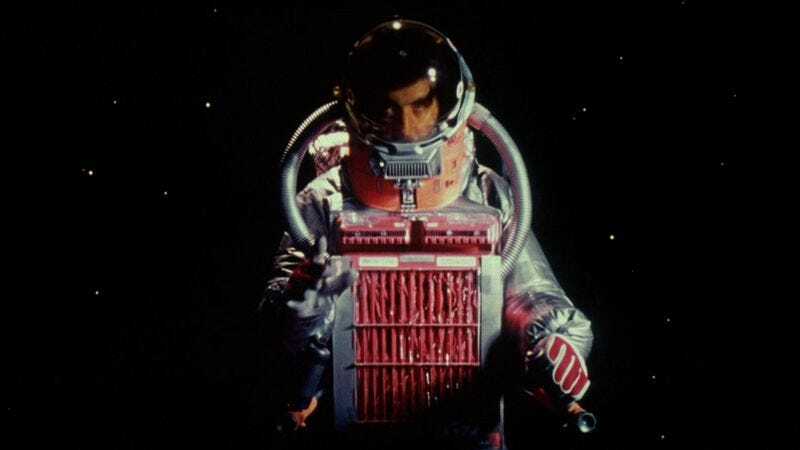 We’re following that up tonight with my second Science Friction selection: John Carpenter’s 1974 debut, Dark Star. My co-host will be fantasy author and film blogger Jesse Bullington; he and I will make with some cursory commentary and dumb jokes before letting Dark Star roll in all its low-budget, laid-back, anxiety-ridden glory. What more could you ask for from a science fiction film? Swashbuckling adventure? Cosmic majesty? Um, how about a beach-ball alien?